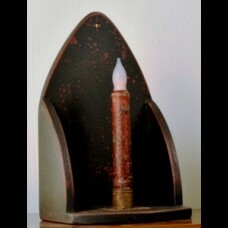 Barn Candle Shelf is 10" x 6", 5" deep. Discontinued. One remaining in stock. Accessories not included.